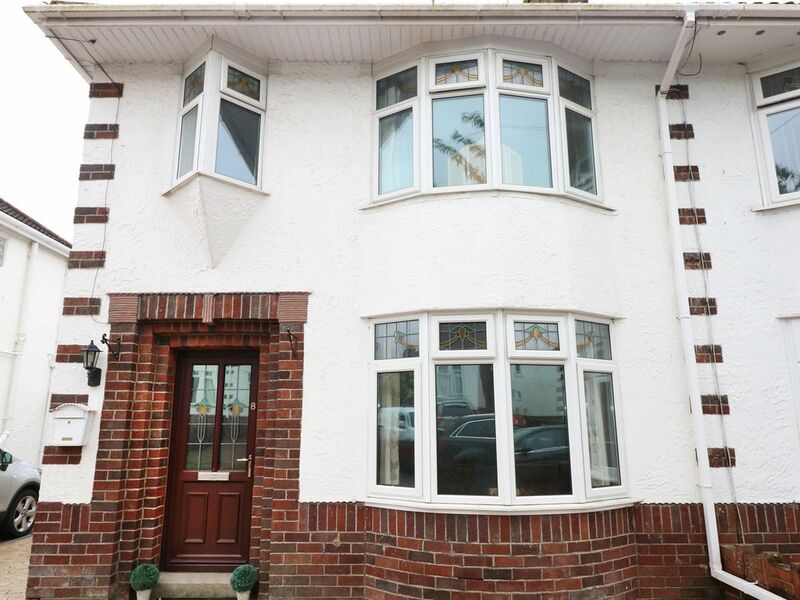 This semi-detached cottage is located near the village of Bridgend, close to Cardiff, and can sleep six people in three bedrooms. Bramlea is a homely semi-detached cottage situated near Cardiff, South Wales. Hosting three bedrooms; a king-size, triple bunks, and a cot room / play room, along with a bathroom, this property can sleep up to six people. Inside you will also find a kitchen, dining room, and a sitting room. To the outside is off-road parking, a garage, and a lawned garden with decked areas and furniture. Resting in a desirable location with beautiful places to visit, Bramlea is a lovely cottage in a magnificent part of Wales. Amenities: Gas central heating. Gas oven and hob, microwave, fridge/freezer, washer/dryer, dishwasher, TV with Freeview, WiFi, selection of books, games and DVDs. Fuel and power inc. in rent. Bed linen and towels inc. in rent. Stairgate, travel cot and highchair. Off-road parking. Garage. Lawned garden and decked areas with furniture. Sorry, no smoking. Shop 4 mins walk and pub 1.4 miles. Note: Washer/dryer is only available for 7 night stays or longer and is located in the garage. Town: Once a thriving village created around the Welsh mining works, this charming Welsh village still offers a pub and general stores and is easily accessed from the M4 motorway. The old Victorian iron works is now a wonderful attraction in Tondu Park where you can learn so much of its history, then take a bike ride along the Celtic Trail, stroll through the countryside, enjoy a picnic or try some mountain biking. Gas central heating. Gas oven and hob, microwave, fridge/freezer, washer/dryer, dishwasher, TV with Freeview, WiFi, selection of books, games and DVDs. Fuel and power inc. in rent. Bed linen and towels inc. in rent. Stairgate, travel cot and highchair. Off-road parking. Garage. Lawned garden and decked areas with furniture. Sorry, no smoking. Shop 4 mins walk and pub 1.4 miles. Note: Washer/dryer is only available for 7 night stays or longer and is located in the garage.